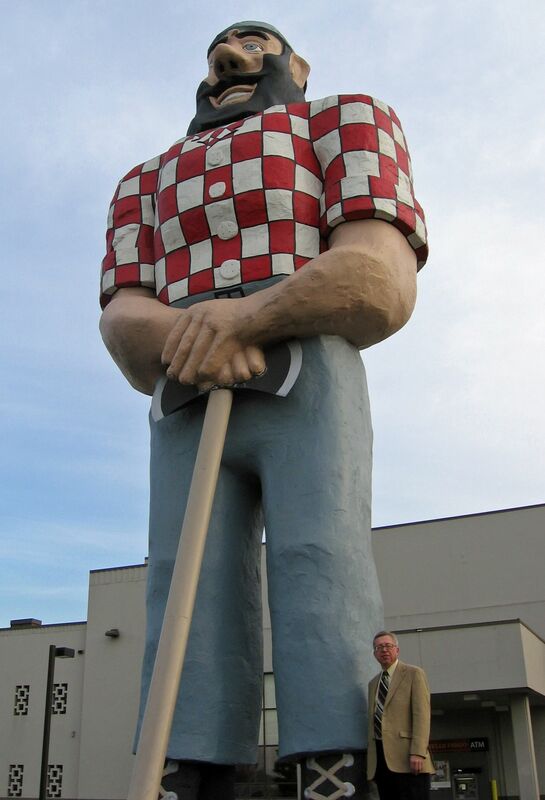 Portland Lumberjack – The Home of My "Big Things"
Here I am “working.” This time in Portland. Jim, Brad and I were out seeing a customer and of course I had researched Big Things. I wanted to get this guy and he was BIG! Unfortunately there wasn’t much space for Jim to take the photo without getting run down. Thanks Jim for risking your life.